We are committed to providing you with an authentic pomegranate experience. All of the benefits, none of the filler. We picked them, we juiced them, we bottled them. The rest is history. 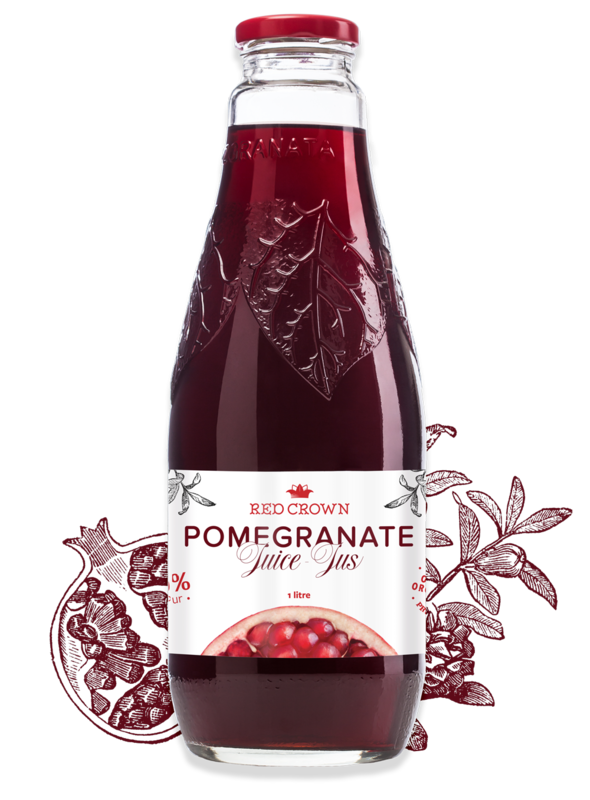 Red Crown has just one ingredient – pomegranates – harvested, juiced, pressed, and bottled at our own orchards in Azerbaijan. Our process from pomegranate to bottle is thoughtfully designed to deliver the very best of the fruit in each serving. We keep it simple and satisfying, packing in 12 pomegranates per bottle. The result is bursting flavour and maximum hydration. Certified organic. Non-GMO. Cold pressed. 100% pure pomegranate. The tale of Red Crown Pomegranate Juice began in Azerbaijan, the birthplace of founder Anar Mehdiyev. Pomegranates are a fundamental part of Azerbaijani culture, prized for their flavor and nutrition. Red Crown is celebrated for its authentic taste, superb quality, and incredible health benefits.